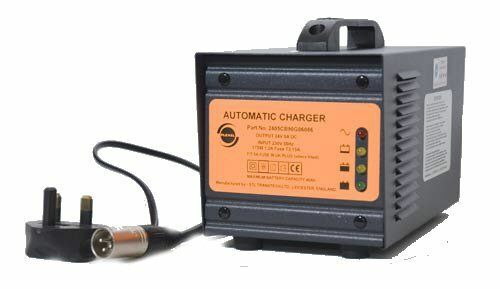 These essential state of the art GEL / Sealed Lead Acid mobility scooter / wheelchair battery chargers represent great value for money. Intelligent microprocessor controlled, this charger has all the safety features you could ask for in a charger as well as being well constructed and easy to use. Please note that the 4 amp charger has two crockadile clips that attach to the battery terminals for charging and the 2amp and 5amp have a three pin conector that plugs into the scooter or wheelchair.